Explore Rarotonga from the comfort of an air-conditioned car as your local tour guide takes you on a fascinating 3 hour historical journey discovering the island’s rich culture, legends and history. The tour begins as soon as you are picked up from your accommodation. You will travel along the ancient Ara Metua also known as ‘Road of Toi’ built in 1050 AD to visit some of our ancient maraes (ceremonial sites) in the area. 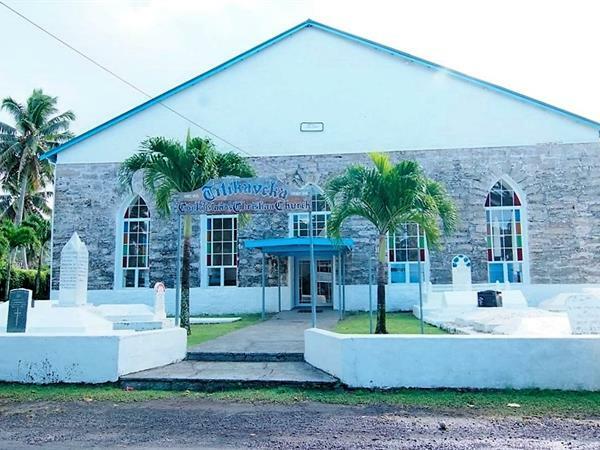 You will visit the first limestone church built on the island—the Cook Islands Chrisitian Church in Titikaveka. This was built in 1841 and is still standing today and being used by many local people and church goers. You will visit the Cook Islands National Museum and National Library to browse through the historical collection available. You will visit the departure point of the 7 Canoes that set sail for Aotearoa (New Zealand). You will also visit a fascinating historical exhibition at Te Ara Museum—a large two storey building that houses artwork by Mahiriki Tangaroa, legends and history about the Cook Islands, a conference room, fish aquariums and much more. We hope that you will leave the museum inspired and with a more in-depth understanding of the Cook Islands and its people. To end the tour you will be taken for lunch at the Mooring Fish Cafe where you can enjoy delicious freshly caught fish caught by Captain Moko.